Spice management has become something of an issue in my house. I’ve been belly aching for weeks that I need to consolidate and re-organize my 60+ spices. Now that our TV is turned off for the month, extra time has materialized, and this weekend, I dug into my spice cabinets to take inventory and clean up. Not only was it productive, it inspired me to think about some new recipes to share with you and it gave me the answer to the question I’ve been asked a bunch of times recently… what are my favorite spices from Penzeys? At the bottom of this post, you’ll find a complete list of everything in my spice cabinet – but to help you stock your own spice cabinet, here are my favorite individual spices and blends. These are the spices that come up in my recipes most often. If you have these at your disposal, you should have what you need to make lots of tasty recipes. 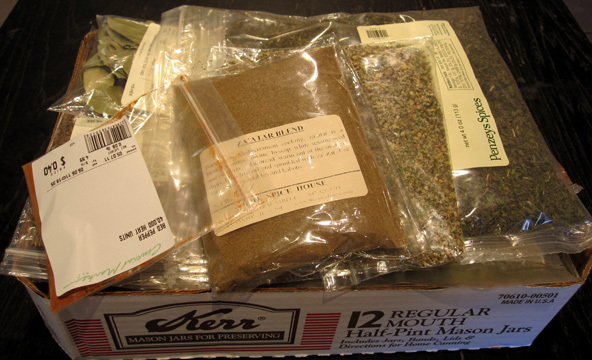 Cumin, ground: for Middle Eastern and Tex-Mex dishes. Also: MY. FAVORITE. SPICE. These are the pre-made blends from Penzeys that I find myself reaching for again and again. These are these are the spice blends I made myself and make sure to always have around so I can turn ingredients into Food. Homemade Rogan Josh: kitchen requirement. Can’t live without it! The mix-and-match jars were too difficult to manage – and because I buy many of my spices in bulk (4 or 8 oz. bags from Penzeys or the bulk aisle at the supermarket, I need “overflow” storage. Also: I HATE that a tablespoon measure won’t fit in the mouth of most spice jars. I mean, really? Are you kidding me with that spinkle top?! This is my spice overflow. This could be a better box, but it’s working for now. My “Primary” spice shelf. The jars are on lazy-susans so I can spin ’em to find what I need. My “Secondary” spice shelf with tiny sample jars from Penzeys and things that get used in small quantities. On the right of the top shelf are new additions that I haven’t tried yet. Who knows if they deserve a permanent mason jar + label?! My master spice list, inside my secondary spice cabinet. 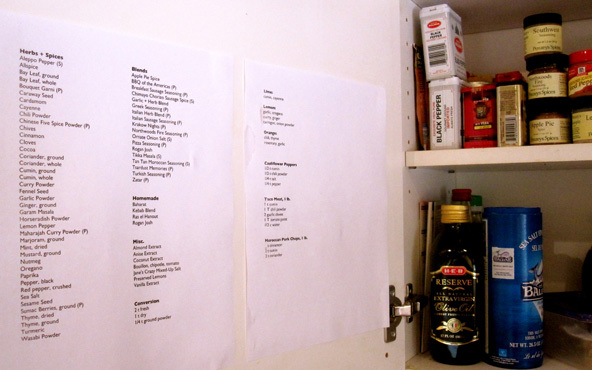 The paper on the right is a list of recipe spice blends I use a lot. I’M. A. NERD. So there you have it: more than you wanted to know about the spices in my kitchen. As promised, here’s the complete list of everything I’ve got. P = Penzeys. S = Savory Spice Shop. Haha, I finally got to Penzey’s a few months back and spent a good half hour scouring your blog for commonly mentioned blends. This will make next trip way easier! My spices pretty much live in the freezer. I buy them in small quantities from my food co-op; they come in labelled clear plastic bags. 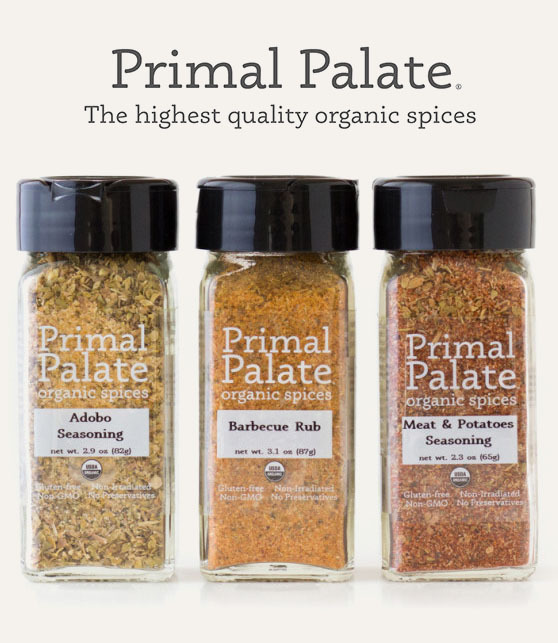 Ever since we started eating paleo and cooking everyday, I have struggled with what to do with my ever increasing collection of spices (they quickly overflowed from their little spice rack home). I love your little jars on lazy susans – I may have to try that one! Thank you for the great list too – will definitely be trying out some of those blends. If I was going to pick one, it would be the pizza seasoning just because it’s really magical with tomatoes and tomato sauce. But rogan josh is a close second, followed by Tsardust Memories. The level of organization and labeling on display here makes me happy. Oh my days! Talk about the spice-innundation! Once I started buying one-offs for recipes, I never looked back. It’s fun having all that stuff at my fingertips. YUMMY, too. Huzzah! I love Penzey’s. The Tsardust Memories is awesome on pork chops! And I am jealous you live near an HEB Central Market. I only get to visit the Houston one when I am home. Otherwise, can’t complain: we have a Penzey’s in downtown Seattle. What kind of paprika do you have? Might I suggest, if it is not this one, that you try some Spanish smoked paprika? The flavor is awesome, and it goes on lots of things, whether animal or vegetable! One of my faves is over roasted broccoli with some ghee… Mmhmm! Hello, other Mel! Right now, I just have regular sweet Hungarian… but I’ve tried smoked and you’re right: it adds a really nice depth of flavor. Your list has motivated me to finally try a few new spices, can’t wait for them to be delivered! 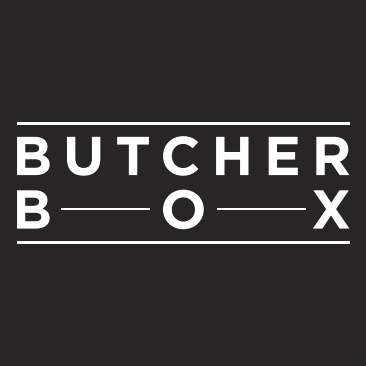 Amazing deals for ordering online – I got a free 1/2 c. jar of Rogan Josh plus $5 off my order. Penzeys always includes a free sample in their packages, too. SO fun! I have lots of spices too. I used a labeler to label the covers of them and place them in low baskets (sort of like a 9×13 cake pan) in my cabinets. That way I can slide the basket out and get what I need without digging through stuff. Joyce –> That’s a great idea! Nice alternative to the lazy susan. Wow! This was a bit funny but also awe-inspiring. I totally give you a thumbs-up for being so organized – it makes a lot of sense and no doubt makes your life easier, which is a no-brainer when you think about it. Being a nerd rocks. Ps. I forwarded this to my mom who just loves Penzeys and thinks she “over does it” when she shops there. And yes, I always over-do it when I order from Penzeys. It’s too hard to resist. It’s almost time for me to do another re-org of my spices. I hit up the opening of the Savory Spice Shop and bought a bunch of stuff that’s just in piled-up plastic bags. No good! I was wondering what is in the BBQ of the Americas? I have been (unsuccessfully)looking for something like that. BBQ of the Americas is from Penzeys Spices. Coarse Kosher Flake Salt, Paprika, Jamaican Allspice, Cayenne Red Pepper, Nutmeg, Black Pepper, Thyme, Ginger, White Pepper, Korintje Cinnamon. So going to copy the mason jar idea. Awesome. Subscribing in Google Reader and reading obsessively from now on. And just a tip about those spices: I’m very near to investigating an RFID system for all my foods, and maybe an automatic reader. Wouldn’t it be cool if you could take inventory like a store does, just by bringing the barcode into the house? As a first step, I’m attempting to hack this with Amazon’s tools. Thoughts? I’m an engineering-type nerd, though, so this is right up my alley–what kind of nerd are you? YAY! I’m so glad you found me… welcome! I recently left my corporate overlord and am now my own overlord. WOOT! It’s been a pretty amazing transition, and I’m super excited because it means more time for quality blogging, recipe development, and cookbook writing. OMG! A barcode on my spices would make me weep with joy. MAKE IT HAPPEN! I SO NEED to organize the spice cabinet. It’s literally a cabinet, one of those particleboard jobs that’s about as tall as I am (about 5’6″ or 5’7″). Belongs to the other adult in the house, and he’s terrible at organization. I think a large part of the problem is how they’re stored, more than the age. They’re often stored in plastic, and even when they’re in glass, the glass is crystal clear, all the better to let in all that UV light and degrade the plant materials. It is not like you need a whole lot of herb or spice per meal, so this can be a problem eventually. So. I was thinking stainless-steel containers if I get around to fixing the mess in the spice cabinet. But I’d be happy if they just had brown or blue Mason jars. Have yet to find any. It makes me sad. Check out Rose Mountain Herbs website to buy dark glass containers and organic herbs. Worth the visit. I really love your cookbook. One problem though is finding a prepared Chinese 5 spice powder that includes star anise, Szechuan peppercorns, cinnamon, cloves and fennel seeds as you list in the book. I have searched high and low – on the net and various Asian stores and other specialty shops in my area to no avail. I finally resorted to making my own blend. I was able to get the Szechuan (Sichuan) peppercorns from The Spice House at a very reasonable price. It’s nice to have that spice on hand by itself. It is very unique and a wonderful addition to my spice cabinet. I’m not nearly as organized as you are but I’m well on my way to having everything you suggest on hand. I also couldn’t resist getting some Jolokia “Ghost” peppers. Hot doesn’t begin to describe them but they also have a very unique flavor. Just a tiny slice along with the Szechuan peppercorns really spiced up the Chocolate Chile (my new favorite recipe). Guess you can tell I like things very hot and spicy! Making your own spice blends is much more fun than buying them — good on you for tackling 5-spice. Love it! Awesome. Thanks for sharing — that’s great! I have a homemade Tsardust Memories ripoff recipe coming soon. Hang in there! Psst… have you posted the recipe for it yet? I can’t find it. Btw, I received Well Fed as a Christmas gift and I have been cooking up a storm! I realize this was a zillionty years ago now (well, 2), but do you have that Tsardust Memories ripoff recipe by any chance? I couldn’t find one anywhere on the web! Penzeys has several kinds of cardamom. Which type do you like the best? I always get the ground cardamom because I’m too lazy to toast and grind the pods myself. Both Morton and Hain make iodized sea salt. This is what the packages look like — I just buy it at my regular grocery store. This is a great post. I’ve been going a little crazy trying to figure out how to organize my spices now that I’m reaching for them more as I dabble in Paleo. Thanks! Unfortunately, we have no Penzey’s in Schuylkill County. Do you know if the Penzey’s spices are gluten-free spices? Penzeys individual spices and spice blends are gluten free EXCEPT for the soup blends, which are made by a different company for them. Awesome! I’m hitting up a Penzeys soon and was looking for your suggestions! Thanks! You should give fenugreek a try, it’s the secret umami of Indian food. I make all my own Indian spice blends based off the cookbook Vij’s Indian Cuisine. 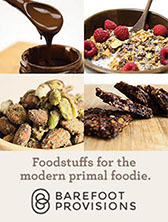 I’ve been meaning to sit down one weekend make some paleo friendly versions of his recipes. He does cover a lot about spices and how to increase the flavor through toasting and grinding your own. I love this post, but I’m curious how you keep track of the age of your spices. Or do you not bother? I know that many last 2 or more years in ground form, but I know that over the years I have definitely gone past that with some I don’t use all that frequently. Obviously you use a lot more and more frequently than I do, though! Sorry I can’t be helpful with this, but I go through spices so fast, I’m more likely to run out than I am to have them too long. However, if you could just write the purchase date on the label of your jar with Sharpie, then replace them after about 6 months. What about organic versus non organic? In the interest of eating clean, aren’t many or most herbs and spices sprayed with pesticides? Or the differences between organic cold pressed coconut oil and olive oil….is this more of a personal preference thing? 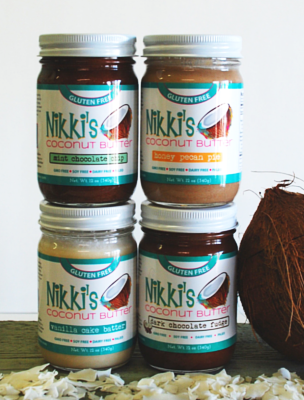 I always use unrefined coconut oil, but I don’t pay attention to cold pressed… sorry! I’m failing you miserably on these questions. I dont think cold pressing would be as important for coconut oil as it is for olive oil. Coconut oil is a saturated fat and therefore isn’t oxidized like the monounsaturated fats in olive oil under high temperatures. When mono and polyunsaturated fats are damaged by light, air and heat, they’re no longer good for you. My favorite taco seasoning recipe has onion powder. I don’t see that in your list. Is onion powder something to be avoided? I did read somewhere that it always contains anti-caking agents. Any thoughts? Great list… I have all of mun in bags from Central Market. I alphabetize and store them in plastic boxes. They take up the amount of room in of 2 shoe boxes. Makes a great wedding gift or house warming gift too. Every 12 to 18 months I purge, and get all new spices that are over the age limit. my bends I make are in recycled jars… Enjoying your blog. I had never heard of Penzey’s before, did a quick search and found that I live 9 blocks away from a Penzey’s retail store. Thank you! Can’t wait to check them out and pick up some supplies! Lucky you! Have fun at Penzeys! Definitely get some Tsardust Memories — so good! My nearby health food store sells spices in bulk. So if I need a unique herb or spice, I can purchase a small amount vs. investing in an entire jar. I am having so much fun wandering around your website. What a great post this is! 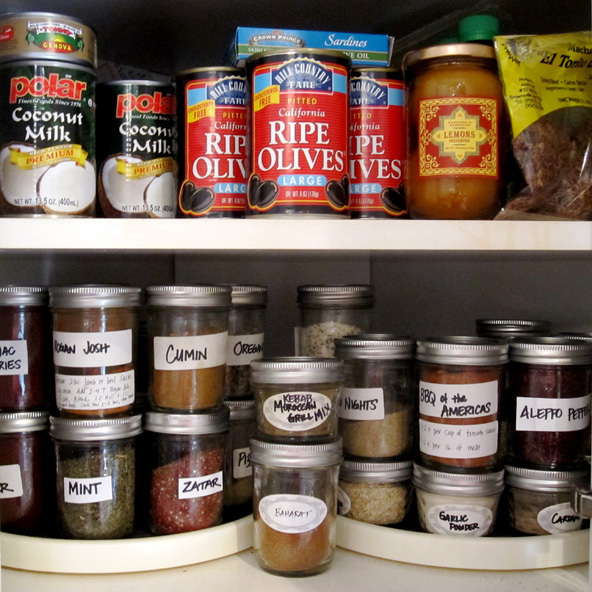 I never thought of storing spices in mason jars… such a great idea. I am a spice hound too and I love the organization here. Storage space is a problem for me in our little house, so anything that saves space is wonderful! Love this! 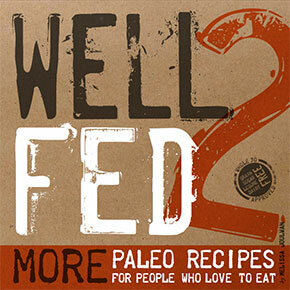 Just bought Well Fed 2. Thank you for making food prep so fun again! The mason jars make it so much easier to scoop out tablespoons of spices. In our new house, I just took over a drawer for my spices and put the labels on the lids. We’ll see how that works over the long term. 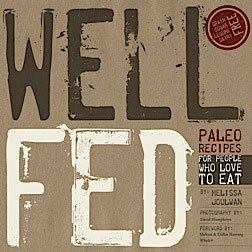 Thanks for buying Well Fed 2! I bought both of your Well Fed cookbooks and with all the new spices, I needed a place to put them. My idea was to hot glue magnets to the spice containers and put them on the side of my refrigerator. Worked out great. So easy to find now. I love this. You should try fresh ground nutmeg. The preground stuff is horrible in comparison, and the little nutmegs last quite a while! Oh, I heart you and your lovely website so much. 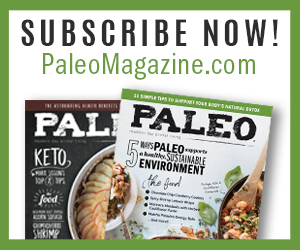 I’ve been struggling to find a way to make paleo work for me, and your organization and cooking tips are just blowing my mind. Thank you, thank you, thank you! Very awesome job. 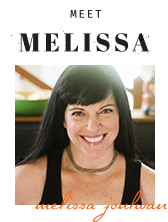 Melissa, you could replace that paper spice list on your cabinet door with a handy iPhone app named ‘My Spices’ . Check it out on the App Store. Soon to be available for the Android as well. Thank you for this list and the mason jar + label idea! Until starting my first Whole30 (halfway through now! 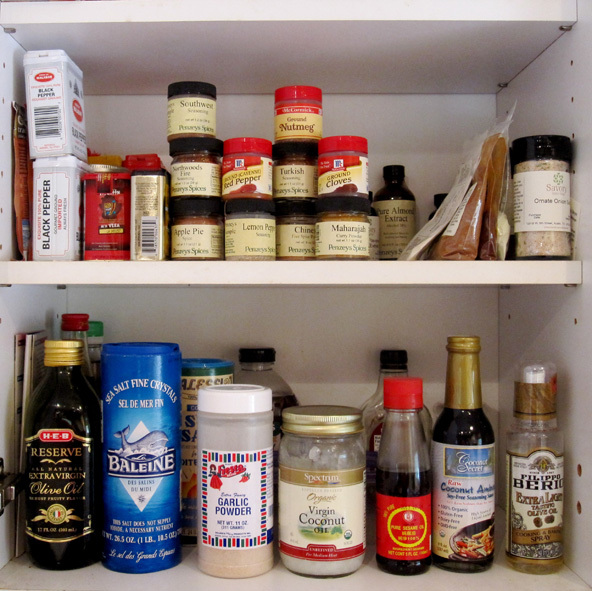 ), all of my Penzey’s spices were thrown in a drawer and it took forever to find some of the rarely used spices. Not to mention the whole small jar/measuring spoon issue. Just ordered small mason jars and 2 Lazy Susans to organize them on. You’re awesome! Thank you! Your blog and cookbooks have totally inspired me to keep this lifestyle going post-Whole30. Oh. My. Goodness. I feel ya on the not being able to get a dang tbsp in the spice jar! I mean, really? That’s just mean lol! I love the idea of the small mason jar and will definitely be on the lookout for them, or else order some. And also, my sister was here visiting me the other weekend and saw me making your Sunrise Spice and asked me why in the world had I not just trashed the plastic filter things of my spice jars bc I always have to take them off and then put them back on…I said, “well hell. I have no idea.” So I took all those dumb things off! Bless you for this posting. I love organizing my spices, but using the manufacturer’s bottles makes my 3 lazy susans much less efficient than yours. Stacking small jars will help. How do you have them arranged? I have mine by “sweet” (1 lazy susan) and “salty” (2 lazy susans), and alphabetically on each. OK, please don’t feel you need to post this comment. I just realized how OCD this sounds. What can I say. Like the other guy, this kind of organizing just makes me happy. I have mine arranged in loose alpa order, then there’s a little pod of jars that are the ones I use all the time: salt, pepper, garlic powder, etc. I love this post. Just reading now. Have you changed the way that you store since this writing? Also, how far away is this cabinet from where you do your food prep. I’m battling space and layout planning. I keep a spice drawer next to my stove and only so many jars fit there. I have over flow and less used items in my pantry on other end of kitchen. I’ve started getting the small Penzey’s jars for less used items or even for often used because then I can fit a larger variety of spices in my drawer and then refill them as necessary. I’m not a professional cook or recipe developer, nor do we entertain much (just me and hubby) — any thoughts or suggestions for more efficiency and better use of space would be much appreciated! I love your list idea!!!!! Those new 1.5 pint jars are great. Quattro Staglioni wide mouth screw lids (sold at The Container Store) also fit Bell/Kerr mason jars perfectly and they’re solid and sealed. I switched to their lids after dealing with a major insect infestation in my pantry where the bugs were going for the spices.